Order Online or by phone. Choose from our 10-Test Panel or individual tests. Giving you control over your sexual health is one of the most important things we can do. That is why we've eliminated the embarrassment and hassle of conventional STD testing. 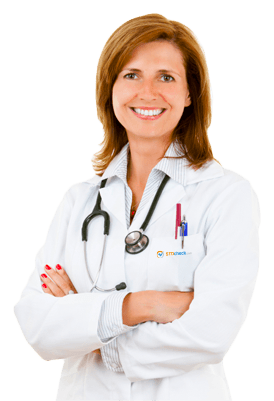 We give you access to the same FDA- approved testing used by doctors and hospitals. Once you place your order, you can visit any of our nationwide testing centers without an appointment, even the same day of your purchase. Your results are delivered to you and no one else - nothing is reported to your insurance or placed on your medical records. More importantly, we provide guidance and support every step of the way, no matter what your results are. Since we aren’t going through your insurance, your results will not be reported to them. This means your results will not be stored on your permanent medical records, and only you will know about the fact you were tested. In and out, your time spent won’t be more than a few minutes. The technician/receptionist won’t ask any questions regarding why you’re there. Provide your sample, and you’re free to go. We are the only company that tests for all the most common STDs, including hepatitis A. Doctor’s offices often only test for major STDs. Our 10-test panel is the most comprehensive on the market. If any of your results come back positive, we have doctors available to talk with you over the phone. They can prescribe treatment and have the medication sent to a pharmacy of your choice! If needed, they will even refer you to a specialist. After supplying your samples, your results will be available online in typically 1-2 days later. If you’re ever wondering the status of your results, feel free to give us a call! We care about all of our patients. If you ever have any questions or doubts, our Care Advisors are more than happy to assist you. Give them a call and you’ll soon be on your way to total satisfaction. 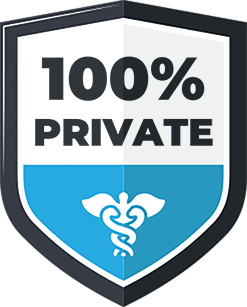 When you test with STDcheck.com, you can use any one of over 4,500 test centers that offer fast, private STD testing at your convenience. All test centers are accessible and used by most hospitals and doctors in your area. The STD tests we offer are FDA-approved and these testing centers are CLIA-certified. 10-Test Panel - We are the only STD testing service that tests for all common sexually transmitted diseases. Our 10-Test Panel includes HIV 1 & 2 antibody (4th gen), syphilis, gonorrhea, chlamydia, hepatitis A, hepatitis B & hepatitis C, and herpes 1 & 2. Complete Confidentiality - Your confidentiality is very important to us. When you test with us, you can be certain that you will receive confidential STD testing and your information is secure. From the ordering process to your visit to the testing center, we are guided by HIPAA privacy laws, the federal mandates that protect your health information. Convenient Testing Locations and Hours - With over 4,500 test centers nationwide, you do not need to drive far to get tested for STDs. Some of these locations are open on Saturdays for your convenience. 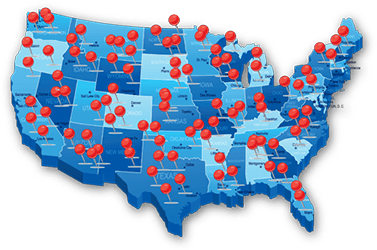 Use our locator tool to find your nearest testing center. Competitive Pricing - Our test prices are the lowest in the industry and considerably lower than what you'd pay at a hospital or clinic. FDA-Approved Tests - All tests we offer are approved by the Food and Drug Administration (FDA). In fact, we are the only service that offers an FDA-approved HIV RNA Early Detection Test. You can be confident that we follow all federal and state government testing guidelines. CLIA-Certified Labs - All of our testing locations meet and exceed Clinical Laboratory Improvement Amendments (CLIA) standards, which govern all clinical lab testing performed in the United States. This ensures the accuracy of your results. Fast Test Results - Your STD test results are available in 1-2 days. You may call our Care Advisors at 1-800-456-2323 anytime for updates while you wait. HIV RNA Testing - Our early detection HIV test is based on RNA methodology and is the only FDA-approved HIV RNA test on the market. RNA (Ribonucleic Acid) HIV testing is a newer and faster method designed to detect the presence of HIV in the blood. We are the only testing service that uses this new method. Simple Testing Process - Deciding to get tested for an STD is difficult. As the leader in STD testing, STDcheck.com makes the testing process simple. There is no paperwork to fill out or questions to answer at the testing center. Multiple Payment Options - We accept multiple forms of payment, including major credit cards, pre-paid debit cards, cashiers checks, money orders, Health Savings Accounts (HSAs), Flex Spending Accounts (FSAs), PayPal, and Cryptocurrency. To protect your privacy, we do not accept health insurance.